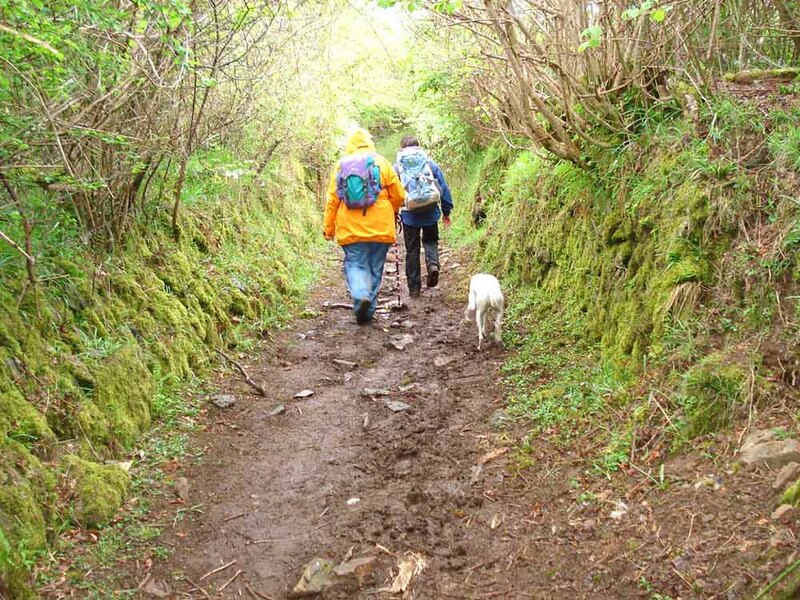 This walk: 2010-6-19. 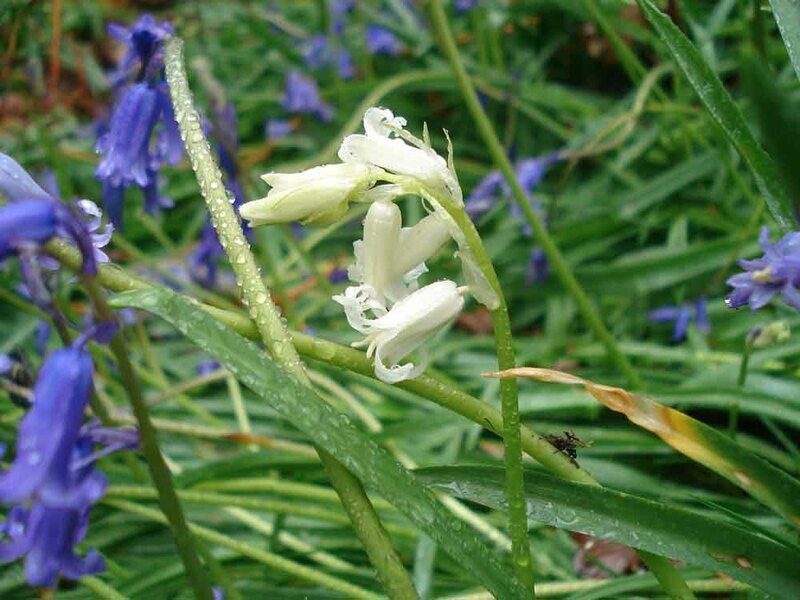 A wet, misty day: cockchafer (May bug), oak, bluebells, Yeo Farm, 1610 lintel, Burrator Wood, step stile, string-of-sausages lichen, Sheeptor church, Sheeps Tor, walling, gorse, Cuckoo Flower aka Lady's Smock, ponies. 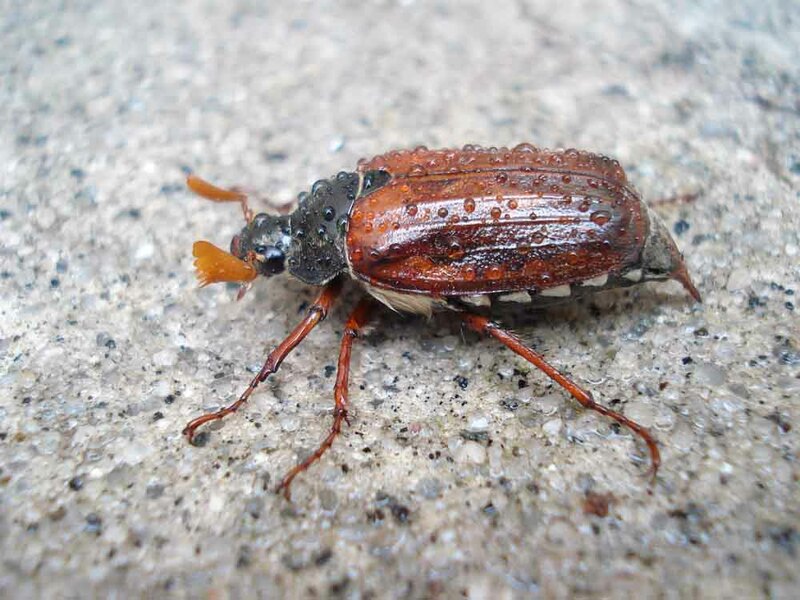 Seen outside the backdoor on the way to the walk - a cockchafer beetle, May bug, Melolontha melolontha. 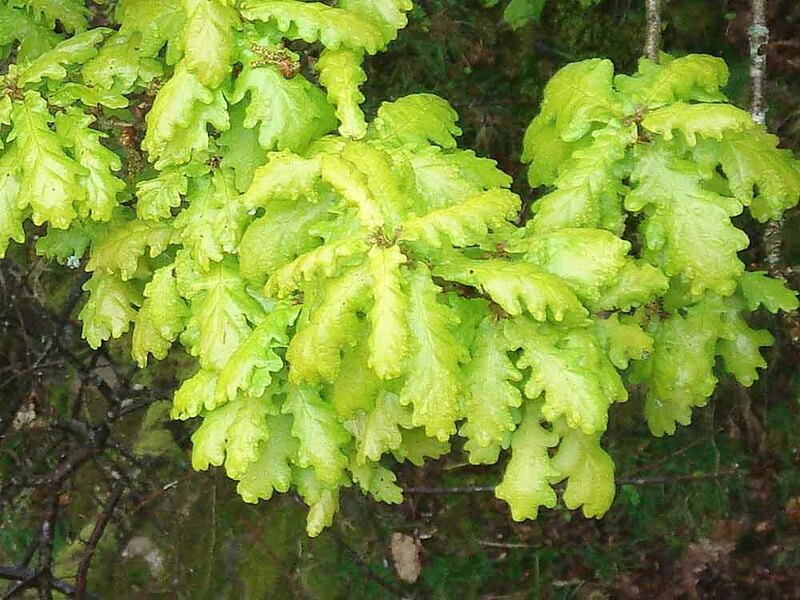 Fresh, young oak leaves (English or Common oak, Quercus robur aka Q. pedunculata) - the leaves are lobed at the base where they join the petiole (leaf stalk) - see top left area of the photo. 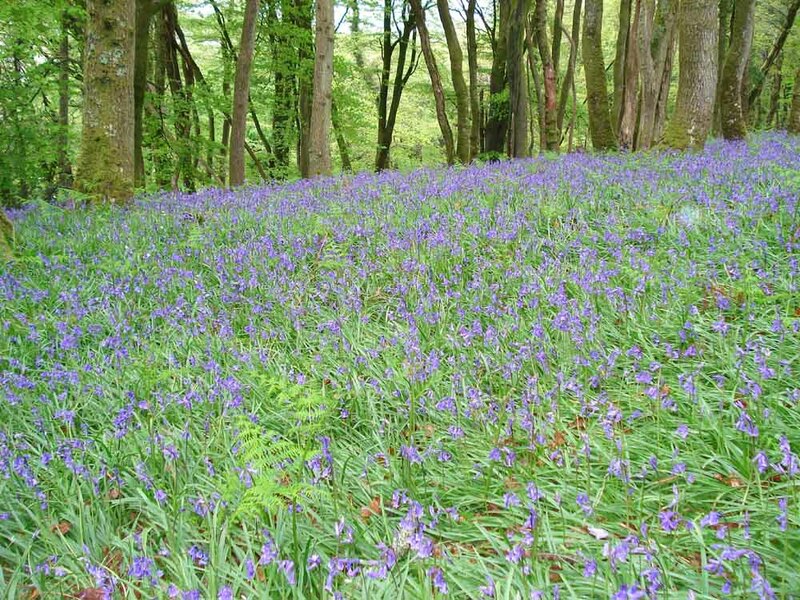 A view along the path near the car park. 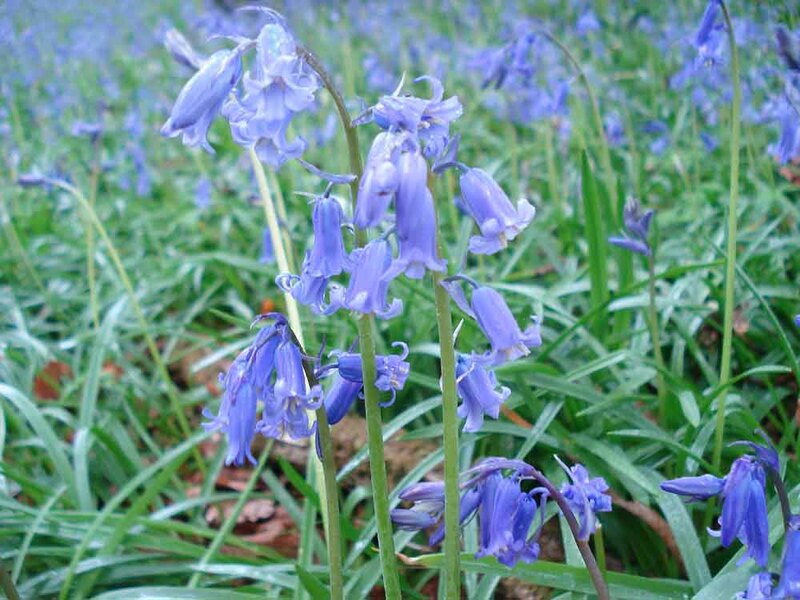 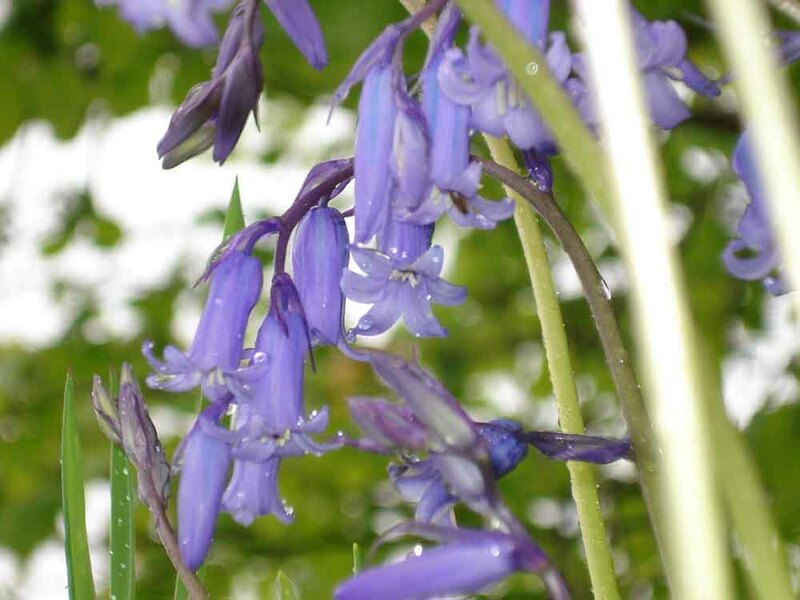 Bluebells, Hyacinthoides non-scripta, seen on a hedge. 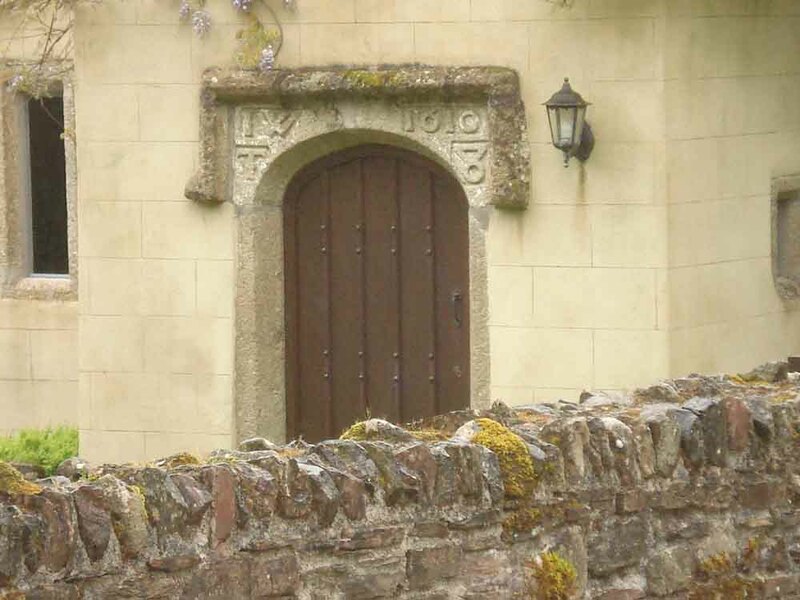 An old lintel - 1610 AD, with IW and T below. 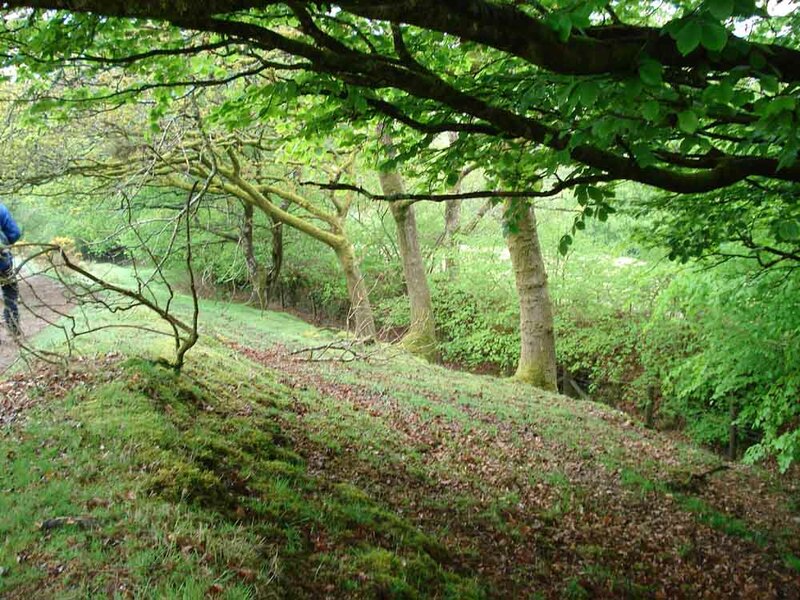 A sunken lane near Yeo Farm. 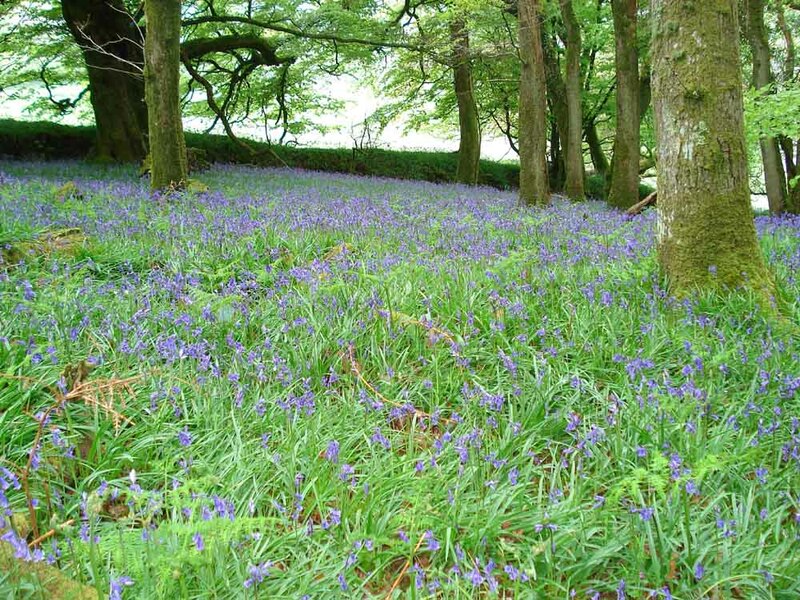 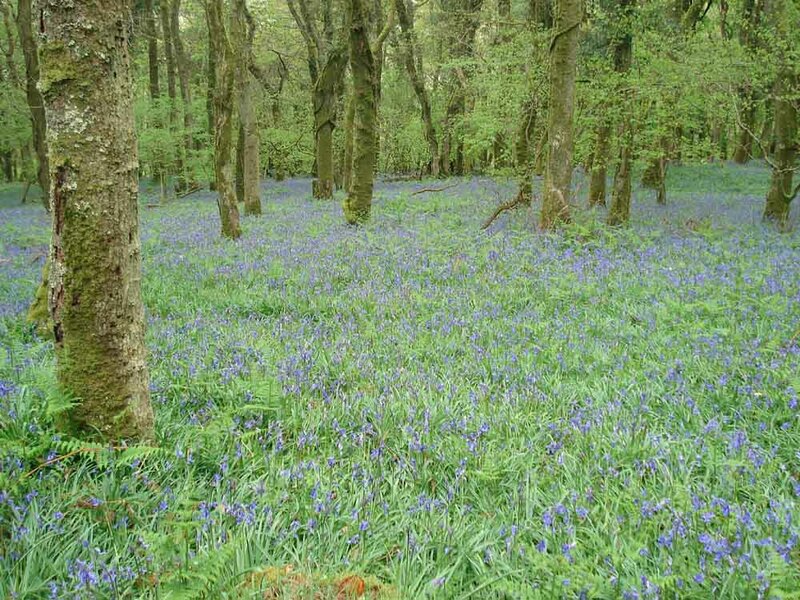 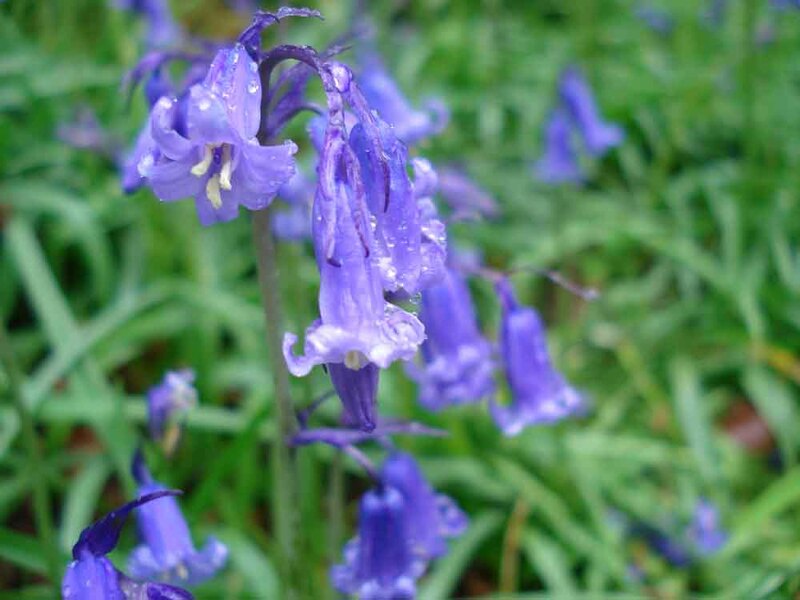 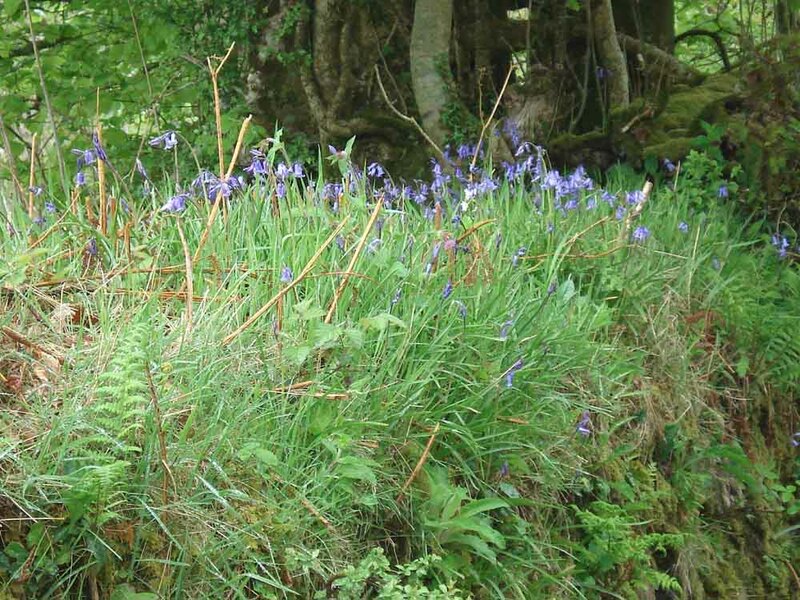 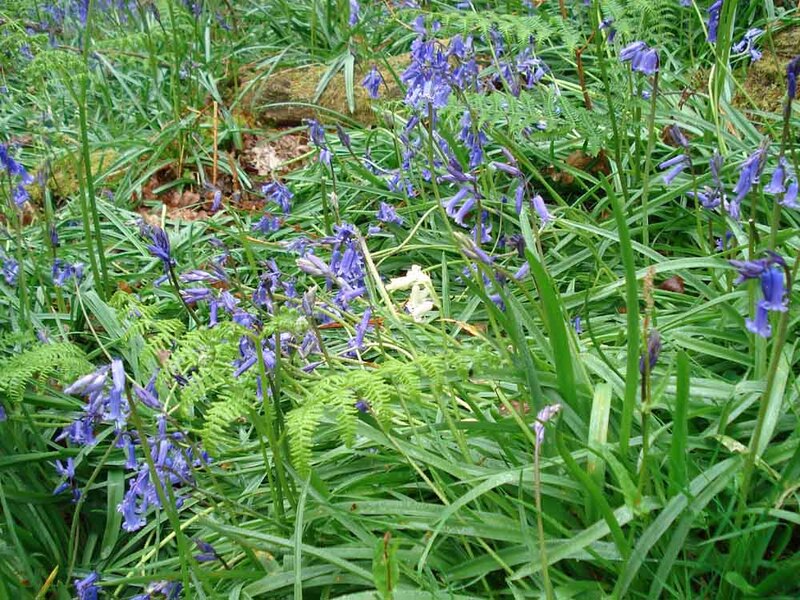 A rare white variant of the bluebells in Burrator Wood. 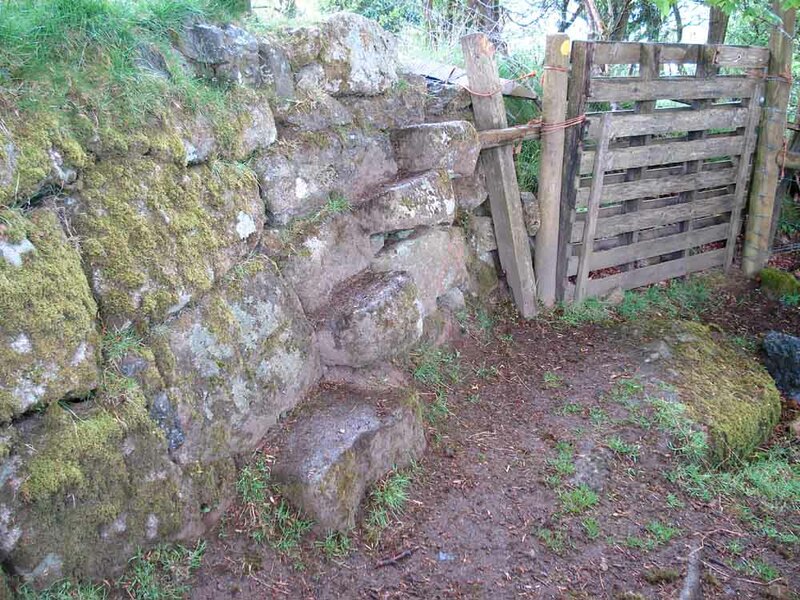 A well-made step stile over a hedge. 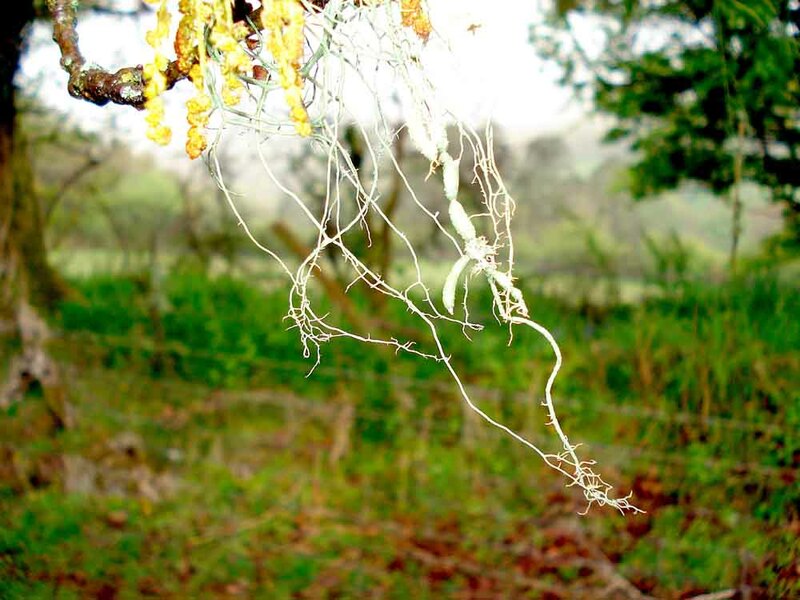 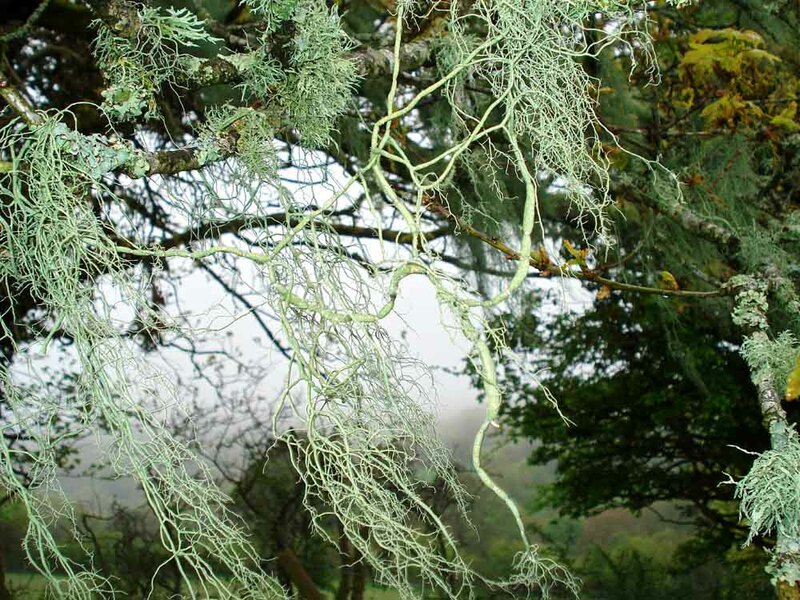 String-of-sausages-lichen, Usnea articulata, a fruticose lichen (branched shrub-like thallus, attached by a holdfast). 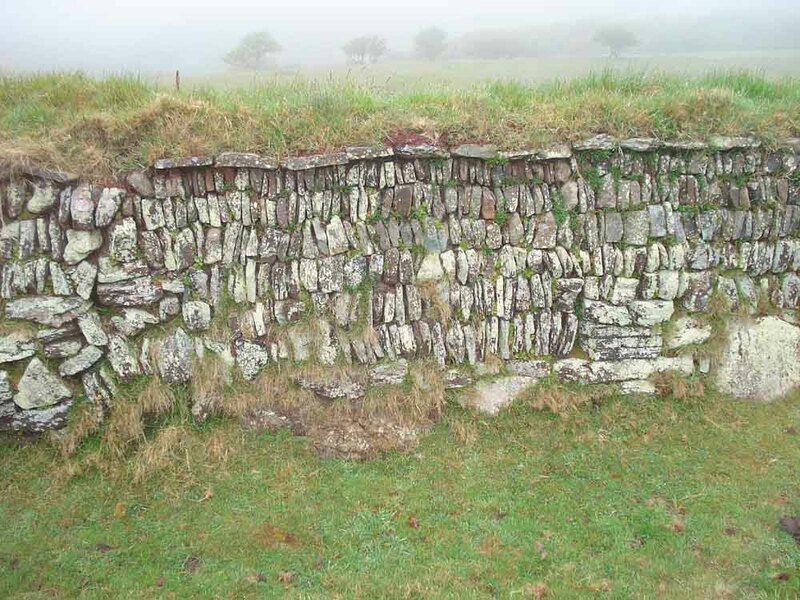 Looking back to the step-stile, in the corner of the field. 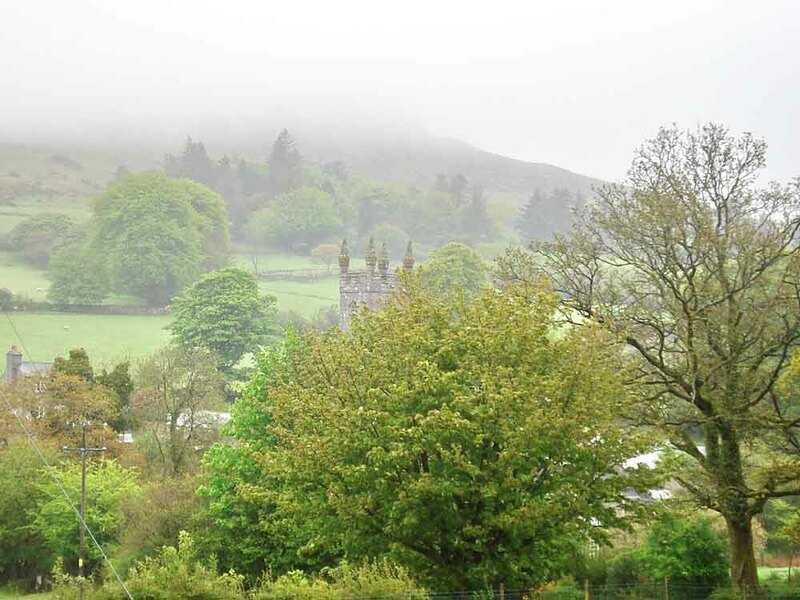 Sheepstor Church in the mist, with Sheeps Tor behind. 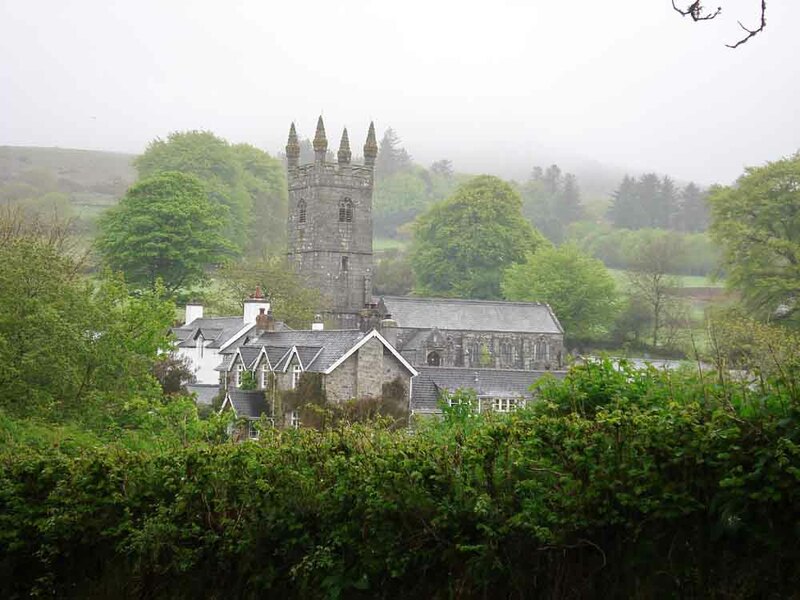 Another view of the church at Sheepstor. 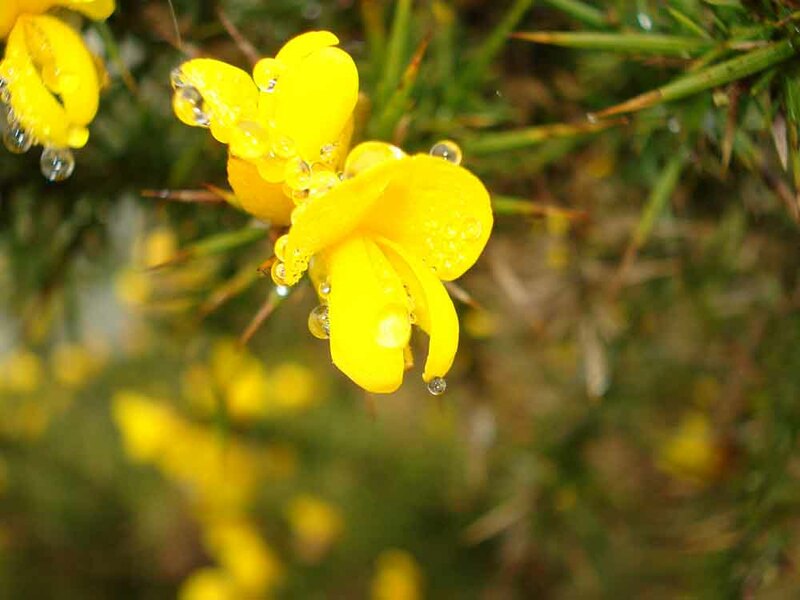 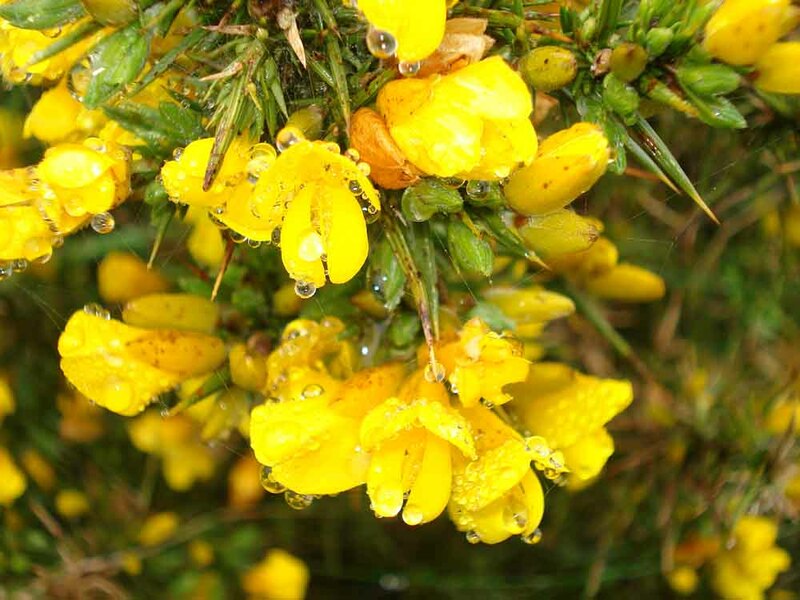 Gorse - with raindrop on the camera lens! 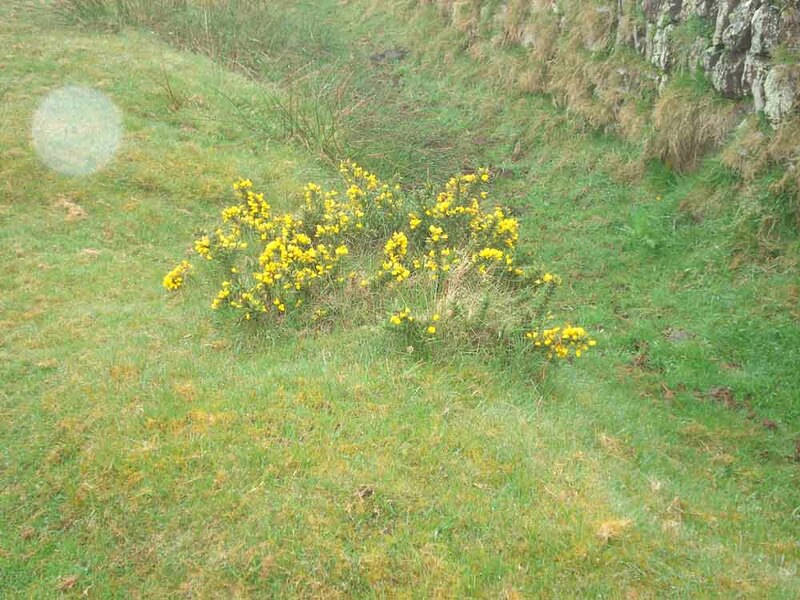 This is probably Western gorse, Ulex galli, judging from the low, branching nature. 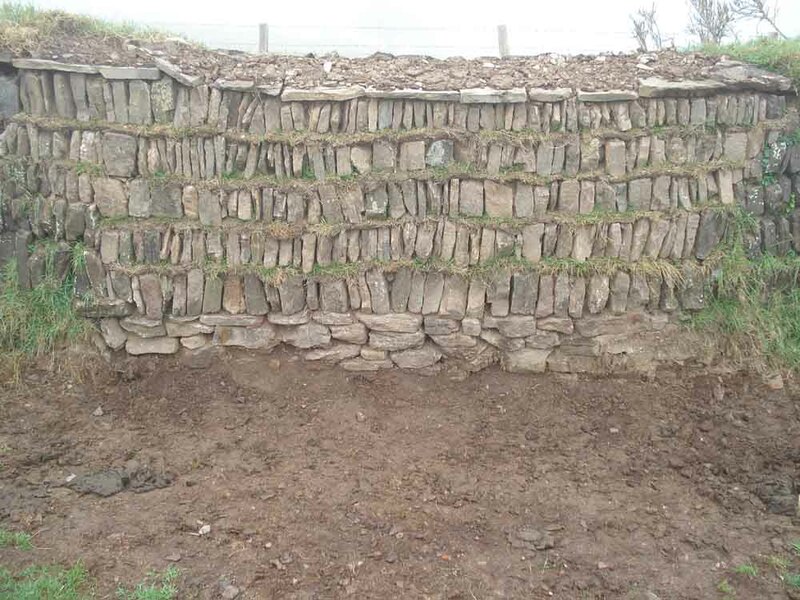 A recent piece of wall repair. 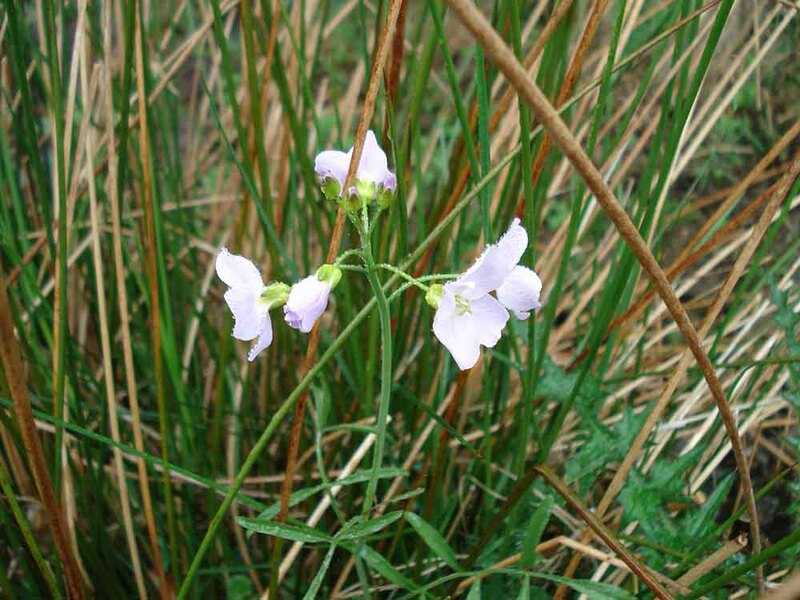 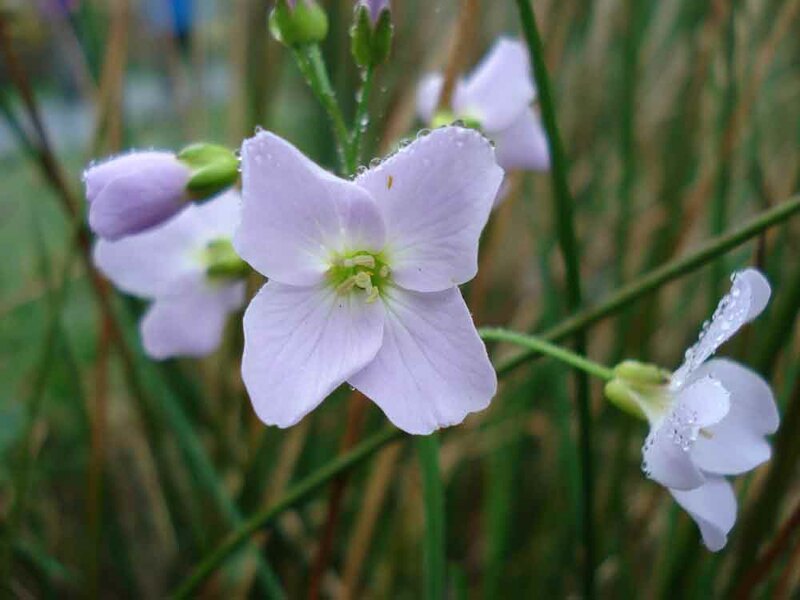 Cuckoo Flower (Lady's Smock), Cardamine pratensis. 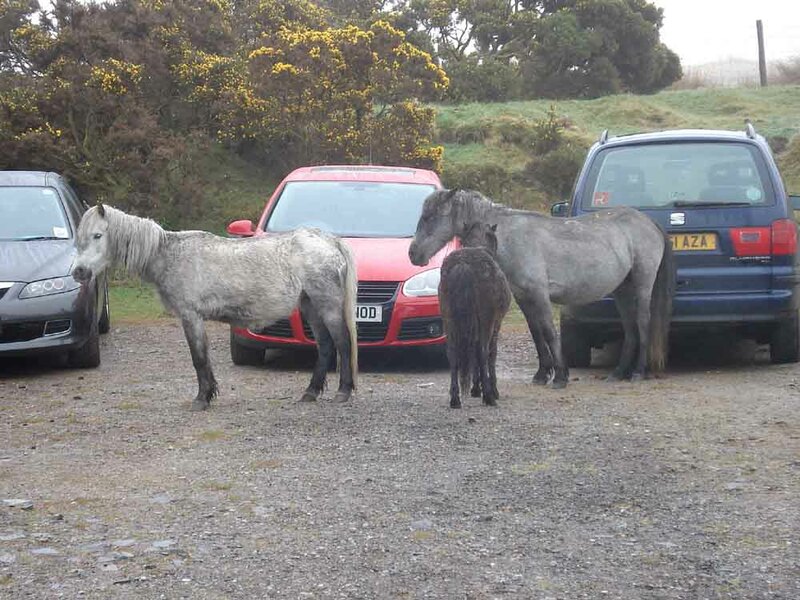 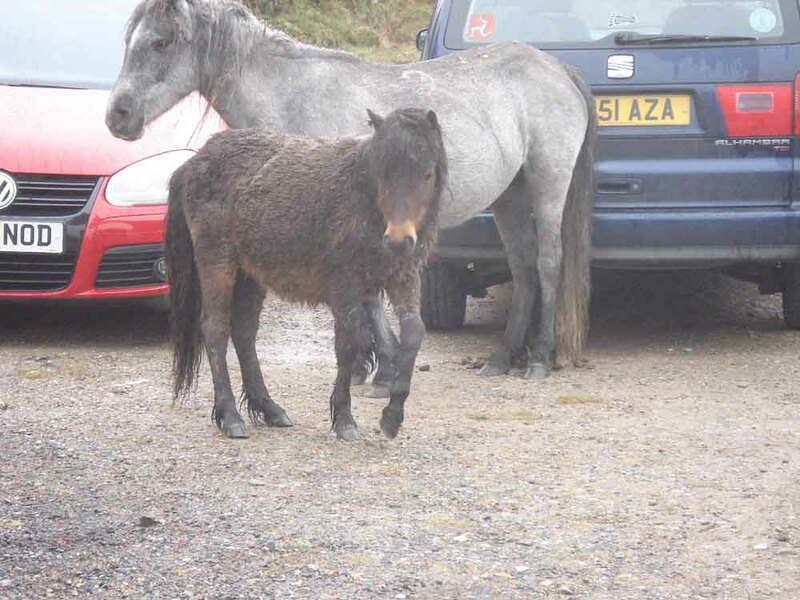 A hazard of parking on Dartmoor - ponies! 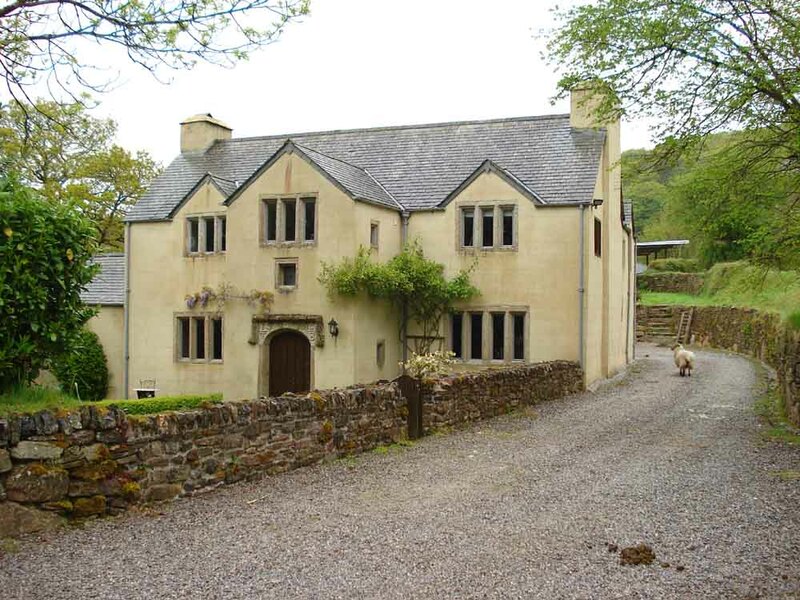 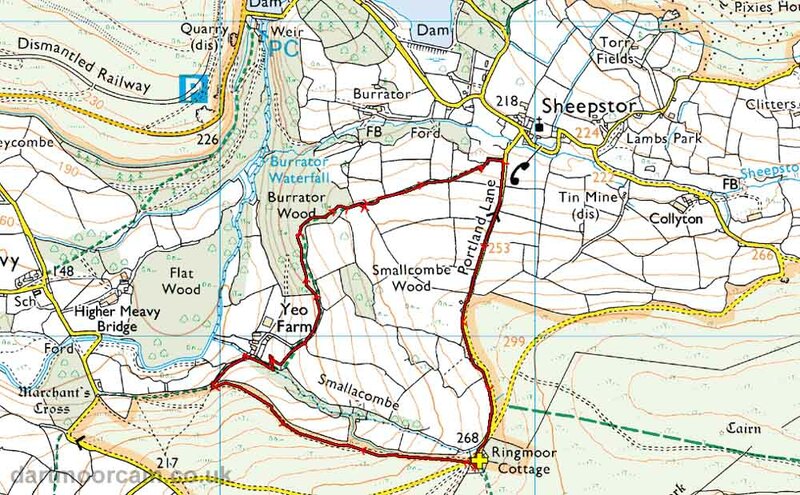 The walk was accessed via Yelverton > Dousland > near Meavy or Plympton > Cadover Bridge direction. 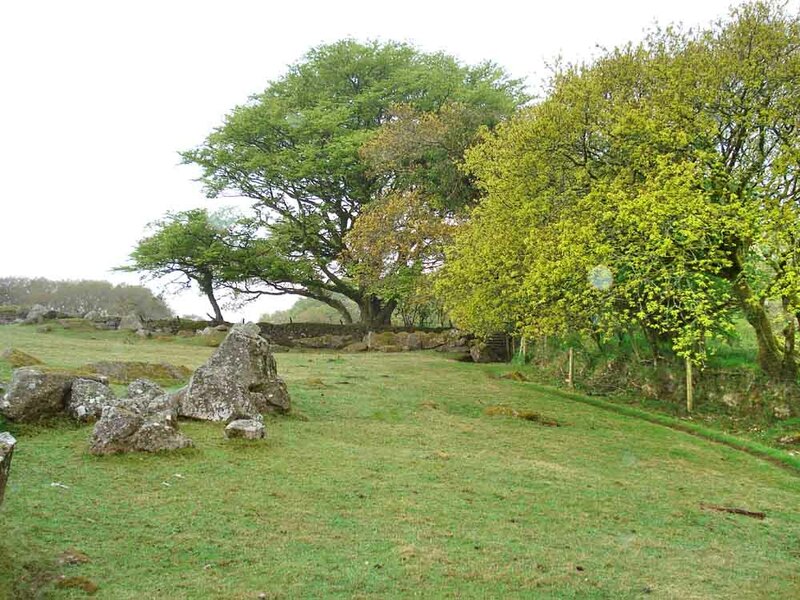 Car parking was at the small disused quarry indicated by the yellow cross on the map known as Ringmoor Cott.